"I have already purchased a second contract from you - the one for a contract purchase." "I have used forms from other sites in the past that were clearly horse forms written by non horse people. They were either too generalized for my needs or too difficult to understand. Your form is the first I haven’t had to modify to meet my needs. It clearly addressed all of my concerns and was easy for anyone to understand. I'm sure I will be back to make additional purchases." "The contracts have saved us from one lady who wanted to sue when she fell of her horse (her own fault) and the contract fully protected us when we sent a copy to her attorney. WELL worth the small fee you charge to keep from being sued! We will be buying more forms soon! Love the service and the products and we refer many people looking for a good contract to you." “I was really happy to find your site! It solved a lot of questions for me regarding the legal aspect of owning/leasing/purchasing horses. I have been sharing your site with other equine buddies for their use as well." "The forms were excellent and exceeded my expectations - in particular the form covered many things I had not considered, including the maximum height that the horse would be allowed to jump, equipment to be used, etc... I would definitely order from you again." "Your full lease form is great!! My horse is in wonderful care and I have peace of mind knowing that your lease accounted for all areas of liability for the lessee and me." "I purchased the equine boarding forms. They were great." "I really like your forms." "They were very thorough. More so than I expected. I was concerned about purchasing at first, but will definitely keep you in mind for future needs." "They are all very thorough and the accompanying Q and A sheets I found to be very helpful. As always, your contracts have addressed the needs of my breeding business. Thank you." "Straightforward and concise...Everything worked as expected." "Thank you very much for all the forms and information included!!!! They are just what I needed." "I really appreciate your service as I am starting my horse business since we just got our land and wasn't sure where to start for legal forms. Your website is easy to navigate and the forms and instructions are very clear." "Your lease form comprehensively addresses all the problematic issues in horse leasing." "Very easy to download...I needed one quick and your service was excellent." 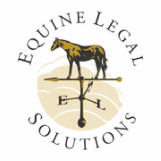 "The Equine Installments purchase agreement I purchased from Equine Legal Solutions saved me from a deal gone bad on a horse sale. If it wasn't for the contract, I would be out a horse and my money." "You provide an excellent service at a reasonable price. Thanks!" "We are new to the world of owning a horse trailer and occasionally hauling a friend's horse with our own. We are relieved to have the use of a liability release!" "Thank you very much for very comprehensive forms!" "The forms I have purchased are very professional and detailed. I appreciate all the hard work that went into creating them. Thank you!" "Great service, keep up the good work." "Customer service at at Equine Legal Solutions is fantastic!!" "Your legal contracts are very detailed and seem to cover just about any situation that may arise. That is why I decided to purchase your product. Thanks." "Keep up the good work. I'd still be floundering in the mire of legal stuff I don't understand if you hadn't been around." "You saved me that Saturday morning! THANK YOU!" "Excellent set of forms -very helpful with only very minor modifications"